Dr Philippa Moore is a Consultant Medical Microbiologist who joined the trust in 2005. She has held roles in infection control in primary care and community care services and was Director of Infection Prevention and Control for the former PCT from 2007 to 2011. From 2007 to date she has been Director of Infection Prevention and Control for 2gether NHSFT. Dr Moore also has interests in orthopaedic infections and genitourinary infections, and virology. 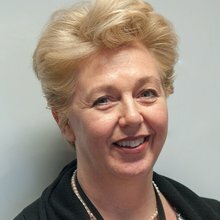 She has worked with the Public Health England Primary Care unit on research and national guidelines, and contributed to the European guidelines on the prudent use of antimicrobials in human medicine.